Web workers are more vulnerable to “social engineering” attacks. In an office, “you can pretend that you’re a bike courier or FedEx guy (s fdx), but you still have to get past the security guard, receptionist, and so on,” explains Steven Chan, chief software architect with MIT’s engineering systems division. 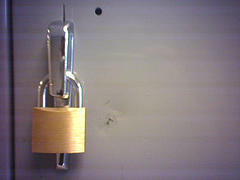 Office network security usually beats home network security. Loss or theft of devices is a bigger threat for mobile workers. Greater employee control over which devices they use can for work can create security concerns. Limit the threat from lost or stolen devices through encryption and tracking. “For thorough security, the entire hard drive should be encrypted and should be accessible only through strong passwords—Microsoft recommends passwords of at least 14 characters, some of which are letters, numbers, and symbols. Furthermore, tracking software can be used to locate a lost laptop, phone, or tablet and remotely wipe it clean of data,” says MIT. Decide who needs access to what. Review often. MIT’s Chan suggests “credentialing, which means employees should get access only to the information they require for their work.” And don’t just set these permissions and forget about them. “Security isn’t something companies dust off and adjust once a year,” agrees CTO Edge in another recent piece on telecommuting and security. While there are some risks, working remotely can also offer security advantages, according to some experts. For instance, locating files in the cloud, which is increasingly common practices for dispersed teams, means that “there are no files on a physical laptop which could get lost or hacked into,” InfoStreet CEO Siamak Farah has previously told WebWorkerDaily. Is your team taking all sensible measures to keep your data secure despite being physically dispersed?